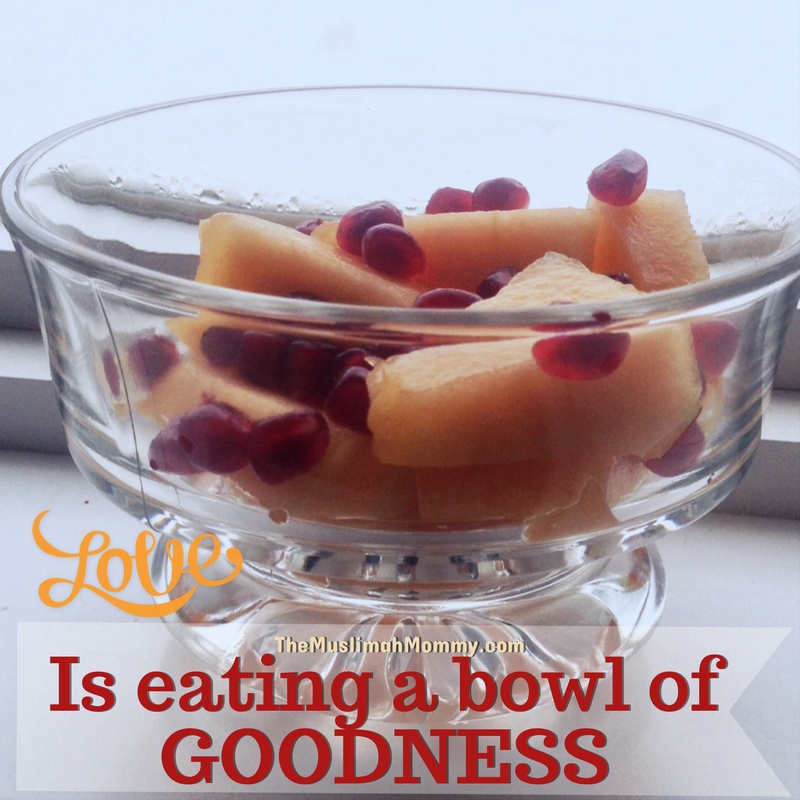 Love is…eating a bowl of goodness! Why turn to a man-made food item to satisfy your cravings, when God has provided us with natural foods bursting with goodness?! Eating fruit always amazes me, for I’m in awe of how there are many different textures and flavours to choose from, Subhan’Allah! Take the combination of a cantaloupe and the seeds of a pomegranate for example: paired with the softness and overflowing juiciness of a cantaloupe, the tiny pomegranate seeds provide your mouth with a hint of tart that blend beautifully with the sweetness of the cantaloupe! Not only is the taste of fruits spectacular, but these fruits are loaded with natural goodness that benefits our bodies from within! I don’t know about you, but I would take bowl of goodness any day!